Posted September 5, 2018 by Roundtable Software & filed under News. Franklin, TN – Roundtable® Software has announced the availability of Roundtable Automation, a solution that extends the powerful capabilities of Roundtable TSMS by enabling users to build and implement their own automated workflows. 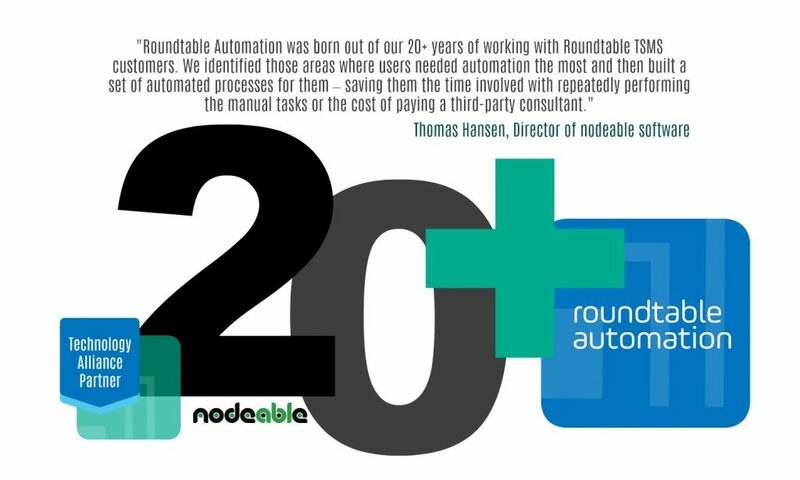 Roundtable Automation was developed by nodeable software and delivered through the Roundtable Strategic Partner Program. The solution provides users with a set of secure REST-based APIs that can be used to automate processes for common administration and life cycle management. These APIs can be used either individually or together as workflows. Roundtable Automation can also be used as a component of the Roundtable Dashboard to provide integrated access to the automation features together with advanced task and workspace-based workflows. Users can automate compilations in their Roundtable TSMS workspaces. Users can create Roundtable workspace releases as an automated stand-alone process or as an integrated part of the more complex deployment API. Users can automatically import changes between workspaces, either interactively from a third-party dashboard like Jenkins or from the Roundtable Dashboard as built-in components in task workflows. Users can automatically create Roundtable deployments, so they can be processed outside of Roundtable. Roundtable Automation includes an advanced OpenEdge ABL SDK, which gives users access to all Roundtable TSMS APIs and proxies, enabling them to write their own automated tasks or workflows in a standardized, secure way. All Roundtable APIs automatically generate detailed, standardized logs that are saved together with other Roundtable reports, ensuring consistency, quality and full auditability. Roundtable Automation can also be used as a built-in component of the Roundtable Dashboard, a web-based application that extends Roundtable TSMS to encompass application lifecycle management (ALM) and provide a platform for integration, CI/CD and DevOps. Customers using Roundtable Automation can easily upgrade to Roundtable Dashboard by purchasing a subscription; no additional installation or technical setup is required. To learn more about Roundtable Automation or the Roundtable Strategic Partner Program, contact Roundtable Software at hello@roundtable-software.com or call +1 949 266 2999 x 1. Posted August 7, 2018 by Roundtable Software & filed under News. Franklin, TN – Roundtable® Software has announced the availability of the latest version of its industry-leading software configuration management solution, Roundtable TSMS 11.8. 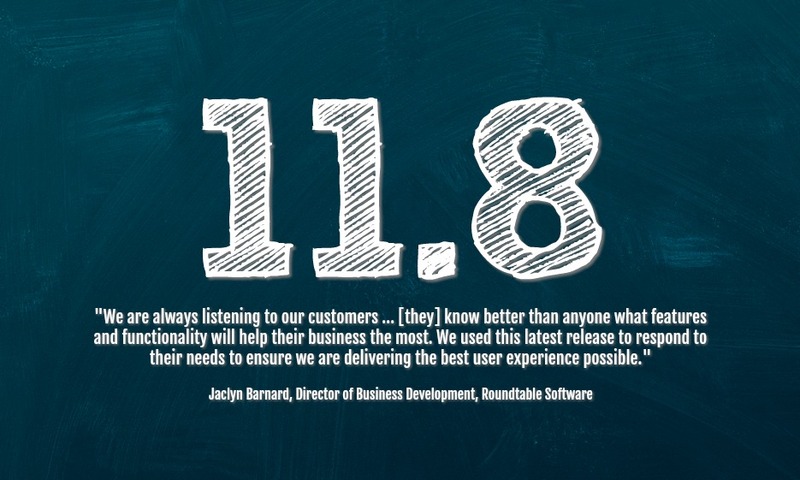 With 11.8, Roundtable has focused on addressing a number of specific customer feature requests in order to enhance functionality and usability. Roundtable’s ability to enforce task-driven development is a key feature that promotes developer agility and accelerates time-to-value. “11.8 has improved the Tasks view within the plug-in client to organize Objects by Product and Product Module. This significant visual improvement increases productivity for developers when working on multiple Objects within a single Task,” says Jeff Ledbetter, Roundtable Product Architect. To satisfy unique client requirements, many of Roundtable’s customers create specific releases of their large-scale enterprise applications for each individual client. 11.8 has further improved and streamlined that capability. “For those Roundtable customers who are also application vendors that heavily customize their application, 11.8 now intelligently chooses Product Modules selections for Custom Variants, making the UI simpler and quicker to use,” explains Ledbetter. Roundtable offers developers the flexibility to customize TSMS to integrate their own development life-cycle functionality tools. With new options entering the market at a rapid pace, 11.8 continues to support this capability so Roundtable customers can use the tools they want. “We added more integration points via hooks to make integration easier. For example, publishing context-menu creation now allows customers to more easily insert their own menu items into Roundtable, which gives them immediate access to their own tools,” says Ledbetter. 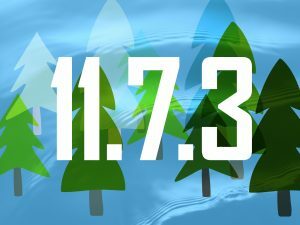 To improve system performance, Roundtable 11.8 also addresses potential bottlenecks involved with creating and storing impact analysis data during compilation. 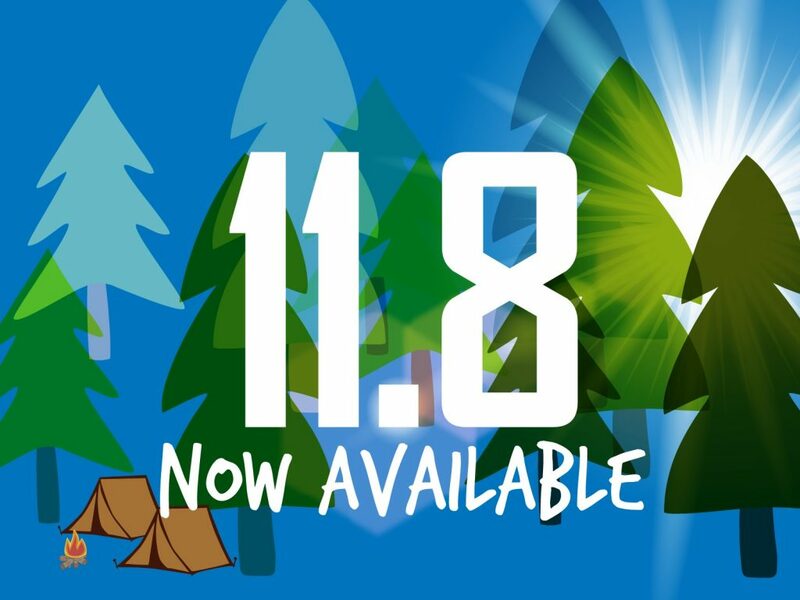 A summary of all features and changes can be found in the 11.8 Update Bulletin. Posted June 28, 2018 by Roundtable Software & filed under News. Roundtable TSMS 11.8 is now available for download. View the online user guide (NEW!). If you are on OpenEdge 10.2B or higher and are not on the latest version of Roundtable TSMS (see compatibility matrix), it’s time to benefit from the latest that Roundtable TSMS has to offer. Contact us at hello@roundtable-software.com to request your upgrade today. If you are a Progress customer, you may proceed directly to the Progress ESD site. Posted June 12, 2018 by Roundtable Software & filed under News. Franklin, TN – Roundtable® Software has announced the availability of Roundtable Dashboard, a web-based application that extends the powerful capabilities of Roundtable TSMS beyond software configuration management (SCM) to encompass application lifecycle management (ALM). Developed by nodeable software, Roundtable Dashboard is the first solution delivered through the Roundtable Strategic Partner Program, an initiative to leverage the expertise of the Progress OpenEdge community to extend the functionality of its solutions and better serve its customers. 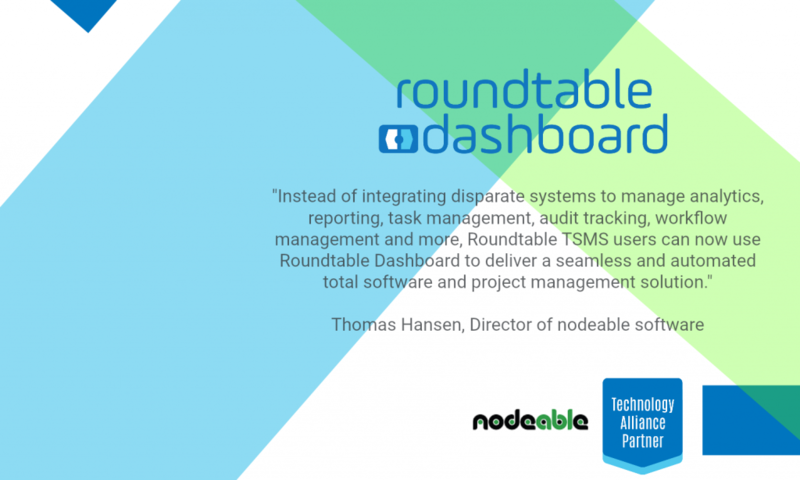 Roundtable Dashboard broadens the value of Roundtable TSMS to the entire application development ecosystem including company executives, project managers, business analysts, support and QA personnel. The solution provides oversight, insight and control for project management, and extensive tools to design, manage, automate and continuously review work with tasks, workspaces, code and more. With advanced task management capabilities, powerful analytics and auditing capabilities, Roundtable Dashboard ensures all stakeholders are aligned and have total visibility across the software development process. Advanced Task Management extends the traditional task management in Roundtable TSMS with the ability to manage priorities, assignments, labels, milestones, comments, worklogs and workflow stages. Future releases of Roundtable Dashboard will also include integration with more external issue providers, code reviews, CI/CD and DevOps. Roundtable Dashboard includes the beginnings of an advanced integrated workflow system. Roundtable Dashboard workflow will allow customers to design and implement workflows to focus and streamline the movement of changes throughout the application lifecycle. This will help eliminate common problems with existing manual processes. The integrated workflows will also enable customers to embark on a journey to modern DevOps and CI/CD with their Progress OpenEdge application development. Roundtable Dashboard provides detailed graphs and statistics that make it possible to see the status of the application development cycle, workload, bottlenecks, and much more. Business users and managers can measure activity, performance, costs, productivity and efficiency levels and use that information for future planning and strategy development. Roundtable Dashboard provides a full audit trail of the entire application development lifecycle process and can be used to support Sarbanes Oxley (SOX) and other compliance requirements. To learn more about Roundtable Dashboard or the Roundtable Strategic Partner Program, contact Roundtable Software at hello@roundtable-software.com or call +1 949 266 2999 x 1. Posted April 27, 2018 by Jaclyn & filed under Blogs. Director of Business Development Jaclyn Barnard gets to the heart of “what’s new” with Roundtable TSMS with a myth-busting blog. It’s hard keeping up with “what’s new” with your favorite software applications. We thought we’d make this recap of Roundtable TSMS simple and fun. 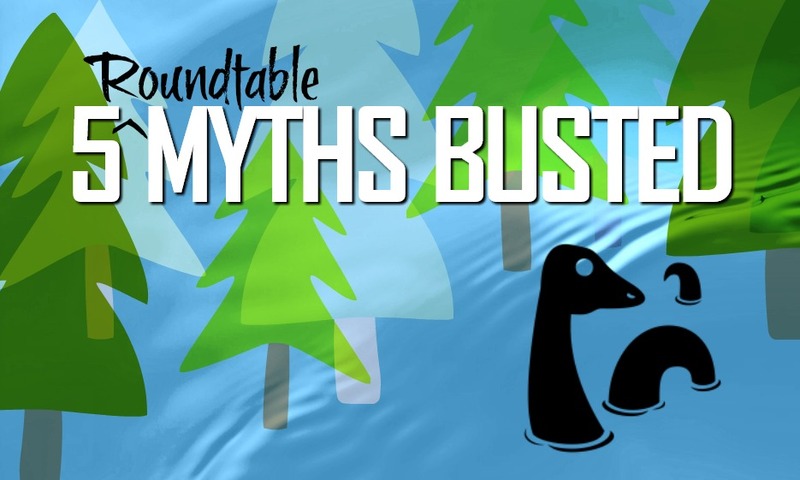 We have highlighted the five biggest changes to Roundtable TSMS in recent years that you may have missed by posing them here as “myths” – all true (or partially true) at one point or another but now entirely worthy of busting. Friends, times have changed. Let’s see if there’s something here that you may have missed. If so, maybe it’s time for a upgrade to enjoy some of the “new” possibilities? Myth: a usually traditional story of ostensibly historical events that serves to unfold part of the world view of a people or explain a practice, belief, or natural phenomenon. We don’t mind this myth so much because it proves (a) just how long our history with our customers has been and (b) that our community sees the relationship between Roundtable TSMS – a Software Configuration Management solution built on and designed for the OpenEdge platform – and the OpenEdge platform itself as uniquely interdependent (and in many ways it is). We must bust this myth and we must bust it thoroughly. For many, it is leading to a whole lot of missed opportunities. Imagine asking for specific new features, then discovering that these specific new features now exist (yay! ), but then you sit on the sidelines and don’t enjoy them. Why? You think they are not available to you because you are not on the latest release of OpenEdge. Friends, they are available to you. For many of you, they are. What’s the myth? It’s the old 1:1 theory. If you have OpenEdge 10.2B, then you must have Roundtable TSMS 10.2B. If you have OpenEdge 11.4, then you must have Roundtable TSMS 11.4, and so forth. Myths typically have some basis in reality. This one exists because the 1:1 rule used to be true. Sometime around Roundtable TSMS 11 those rules have changed. All of our latest releases are now backwards compatible to OpenEdge 10.2B, enabling you to enjoy performance upgrades and, more importantly, the shiny new features and functions that are only available in newer versions. What have you missed? Where do we start? Just click of the many press release, blog, update bulletin, and/or release notes links at the end of this post for examples. Does this sound too good to be true? Take a look at the latest copy of the Roundtable TSMS & Progress OpenEdge Compatibility Matrix to be sure. Similar to Myth #1, Myth #2 has some basis in reality. There was always that one Roundtable All-Star who found an exception. He or she wanted to [do this] or [do that] (and understandably so) but found there was no event hook for that particular event. Not anymore, Roundtable All-Star. Not anymore. As of Roundtable TSMS 11.7, we have ALL of the event hooks. We like to think we were pretty meticulous about identifying every single possibility. (We had to. Something big is coming. Ask us about it at ProgressNEXT.) For now, our call of action (perhaps dare) is this: Go forth! Go forth and achieve that project, Roundtable All-Star. All of the event hooks are now available to you. Get started by requesting an upgrade to Roundtable TSMS 11.7, which includes performance improvements and an updated look. Once you upgrade, apply your patches, my friends. To be fair, Myth #3 is true for nearly all (if not all) tools with version control capabilities. As of the 11.6 release, Roundtable TSMS is the exception. We realize that Myth #3 focuses on Roundtable TSMS 11.6, a previous release. We mention it just in case you may have missed it (see Myth #1). “Nothing is more demoralizing than re-doing the same changes or knowing I had already solved an issue but accidentally blew the WIP code away,” says Gerry Winning, Senior Programmer at Wolters Kluwer. We get that. We imagine you are not alone. Ah … music to our ears! The Backup feature will save as many versions of your WIP code as you like. You can compare these versions, revert back to a previous WIP version, and much more. To see how the Backup feature works, watch this video. Better yet, if you are on OpenEdge 10.2B or higher, you can start enjoying this time-saving feature today. Request an upgrade to the latest version of Roundtable TSMS. Once you upgrade, apply your patches, my friends. Have you and/or others you know been faced with the fact that there really isn’t a good place — secure, consistent, and reliable — for everyone on the team to squirrel away tabled projects, pet projects, and/or parts of tabled projects and/or pet projects? The code is being saved for a reason. It may represent hours of hours of difficult, tedious work. It may be the start of a new feature that has yet to be approved for further development. It may simply be a timesaver for repeated work or a sample piece of code to train new developers. The problem is – if the code is not part of the application, it has no place in Roundtable TSMS. As of the Roundtable TSMS 11.6 release, that is no longer the case. We realize that Myth #4 (like Myth #3) focuses on Roundtable TSMS 11.6, a previous release. We mention it just in case you may have missed it (see Myth #1). These tabled projects, these pet projects, these snippets of code can be stored in the Roundtable repository using the newly introduced Shelf feature. One can store items on and share items from his/her shelf as well as browse items on the shelves of others. Most importantly, these items are being stored in a secure place, ensuring disaster recovery for even snippets of your team’s best efforts. To see how the Shelf feature works, watch this video. Better yet, if you are on OpenEdge 10.2B or higher, you can start enjoying this convenient feature today. Request an upgrade to the latest version of Roundtable TSMS. Once you upgrade, apply your patches, my friends. We saved the best for last. Although we busted Myth #5 with the introduction of the Lab feature in Roundtable TSMS 11.5 (some years ago), this good news bears repeating. More than one developer can work on the same object at the same time. Typically, the response that we get to the above statement is extreme. It’s an enthusiastic “YES” often with a dignified and controlled Tiger-Woods-style fist pump. For others, we get a hard “NO” often with a look of sheer panic. Read on for why. There was (and still is) a very good reason for the Roundtable TSMS policy of pessimistic locking. What some have done as a workaround to the only-one-developer-at-a-time rule (i.e., creating different versions of an object specific to different Workspaces rather than continuously accessing the same one) had been proven to be a better practice for their team. Pessimistic locking ensures that no one unintentionally clobbers another’s committed changes. With active and/or larger teams, removing these controls can ultimately lead to a lot of clobbering. Faster production, yes. More bruised code. Bruised code leads to problems. The Lab feature offers an alternative. Imagine you are a senior developer. The Lab feature allows for what we call a “soft checkout” of the things you need. While you work away on your extended project in a secure, comprehensive, and fully managed environment, others may formally check out/in the same objects to accomplish more immediate goals. If an object changes while you have it in the Lab (e.g., another developer has officially checked that object out, worked on it, and checked it back in), the Lab will indicate so. You may review those changes and appropriate your ongoing Lab project accordingly. In summary, the Lab allows everyone to continue working productively and without inadvertently clobbering each other’s code. Some may say that this is not a pure bust of Myth #5. That would be true. To see how the Lab feature works, watch this video and this video. Better yet, if you are on OpenEdge 10.2B or higher, you can start enjoying this revolutionary change in versioning today. Request an upgrade to the latest version of Roundtable TSMS. Once you upgrade, apply your patches, my friends. In summary … Has any other these myth busts motivated you to make that forward-moving change? If so, contact us to request the latest release today. Are you new to Roundtable TSMS and/or would like to introduce it to others? Watch and share these videos. Posted March 23, 2018 by Roundtable Software & filed under News. Note: The 11.7.3 plug-in for PDSOE is available via the Eclipse software updates manager. If you are on OpenEdge 10.2B or higher and are not on the latest version of Roundtable TSMS, it’s time to benefit from the latest that Roundtable TSMS has to offer. Contact us at hello@roundtable-software.com to request your upgrade today. Posted December 18, 2017 by Roundtable Software & filed under News. Posted November 29, 2017 by Roundtable Software & filed under News. 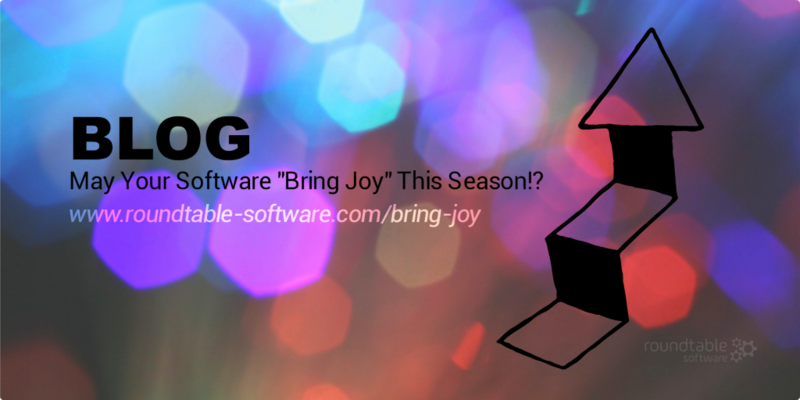 May Your Software “Bring Joy” This Season!? Posted December 29, 2016 by Jaclyn & filed under Blogs. Director of Business Development Jaclyn Barnard appropriates the popular KonMari Method for software evaluations. In this blog, she suggests that software should deliver more than bottom-line benefits: it should also “bring joy.” To what extent does the “bring joy” factor play into your organization’s software decisions? Take this poll. You may think it’s a funny thing to say. You may think it’s an unconventional thing to say. (We are talking about enterprise applications, yes?) I think it is a critical thing to be able to say. The “bring joy” factor isn’t exactly a common measurement for software evaluations. It should be. Consider the alternative. What is it about our software that excites people? “Rather than saying ‘you’ll have to wait until the next update is ready in three months,’ we can say [to our customers] ‘sure, no problem – we will get that to you ASAP.’ That degree of flexibility — to keep up with the pace of our customers’ business — is where we shine.” Read more. “I am aware of everything that’s going on as far as the code that’s being modified no matter where a developer [of the 250+ across the U.S. and India] is located. If I do spot an issue, I can quickly jump in.” Read more. “It’s because of Roundtable that I now have a life. Prior to Roundtable, I usually got home from work in time to tuck my kids into bed. By the end of the first year of using Roundtable, I was getting home in time to have supper with them because I wasn’t spending so much time chasing the bugs and phantom bugs that came from uncontrolled code movement.” Read more. Recalling these conversations (and re-reading our case studies), the “feel goods” seem to be universal: we all want to be good at what we do, we all want to help others, and, ultimately, we all want to go home. This is why I am unabashedly proud of our cheesy but more-meaningful-than-it-seems “Bring Joy” series (shown below) – a four-part social media campaign of warm and fuzzy animated GIFs (a departure from our usual serious business) designed to remind us that the work we do (and the tools that we use to do it) should “bring joy.” I could not think of a better time to share the campaign than now – when the holiday season and another year comes to an end. This seems to be the time when many of us review the contributions we have made, consider how we have spent our time, and remember what matters most. We wanted to convey the joy of accomplishment, which is why our figure is carrying a flag across the finish line. We wanted to convey how software could become a joyful necessity. We thought nothing could illustrate this better than a teddy bear. We wanted to convey “peace of mind.” What better to convey it than a half-moon enjoying a good night’s sleep? This animated GIF represents one of our most heartfelt testimonials: The fulfilled wish of a father to spend more time with his family. What is my holiday wish to you? May you find joy this season in what matters most. (Remember, a good software solution can help with that.) May your decisions “bring joy” for all of 2017. Posted November 10, 2016 by Jaclyn & filed under Blogs. Director of Business Development Jaclyn Barnard shares how Roundtable TSMS 11.6 demonstrates their ongoing commitment to deliver “real value” to its end users. Roundtable TSMS is built on and specifically designed for the Progress OpenEdge development platform. It is the only solution of its kind that is seamlessly integrated with the Progress OpenEdge development platform and makes it a mission to continually evolve with the Progress OpenEdge development platform. This commitment is backed by a one-of-a-kind technology partnership with Progress Software. Beyond this (as if this weren’t impressive enough), Roundtable TSMS is managed with Roundtable TSMS. Its developers are also end-users. As fellow end-users, they want to see features that deliver real value. Roundtable TSMS 11.6, released in August 2016, introduces two new features. 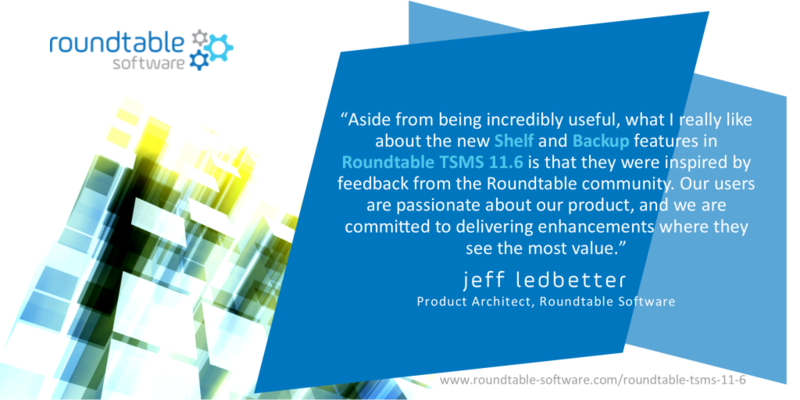 So what’s new in Roundtable TSMS 11.6? And how is it evident of like-minds delivering real value? 1. Roundtable developers hate losing WIP code too. Gerry Winning, we get you. Roundtable TSMS 11.6 introduces the Backup feature. WIP code is now automatically saved in the Roundtable repository. If something happens to you, your local drive, or those glorious lines of code, it can be recovered: there’s no more wasting countless man-hours recovering lost WIP changes. To see how the Backup feature works, watch the brief video below. 2. Roundtable developers table projects too. It’s nice to think that all work we start is seen to the finish, but that’s not always the case. What do you do with brilliantly crafted code that no longer has an immediate use (and therefore no place to live) in the software development lifecycle? What do you do with brilliantly crafted pieces of code that have more use beyond their original purpose? We all like to save what matters. The question is where. Roundtable TSMS 11.6 introduces the Shelf feature. The Shelf creates a designated place in the Roundtable repository for each user to “put stuff.” One can store items on and share items from his/her shelf as well as browse items on the shelves of others . How’s that for convenience, improved team collaboration, and (because it’s in the repository) disaster recovery? To see how the Shelf feature works, watch the brief video below. 3. Roundtable developers like parallel development too. Have two or more members of your team ever needed to modify the same object at the same time? How do you manage that? There was (and still is) good reason for the Roundtable TSMS policy of pessimistic locking. A lot of what some may have viewed at first as workarounds (e.g., creating different versions of an object specific to different Workspaces rather than continuously accessing the same one) have been proven to be a better practice for many. There are fewer check-out conflicts. Pessimistic locking ensures that no one unintentionally clobbers another’s committed changes. Still there are times when this one-at-a-time methodology, even with an improved strategy, causes delays. This is why the Roundtable team was thrilled to introduce the Lab feature. The Lab is not a new feature. It has been available since Roundtable TSMS 11.5. Nevertheless, it is worth mentioning again. If you find yourself tinkering away on a project like a mad scientist, and you must check out a number of objects simultaneously and for an extended period of time, you can now do so without feeling like you are delaying the progress of others. The Lab feature allows for a soft check-out of the things you need. While you work away on your extended project in a secure, comprehensive, and fully managed environment, others may formally check out/in the same objects to accomplish more immediate goals. If an object officially changes while you have it in the Lab, the Lab will indicate so. You may review those changes and appropriate your work accordingly. The Lab allows everyone to continue working productively and without inadvertently clobbering code. P.S. All WIP items in the Lab are also securely saved in the Roundtable repository thanks to the new Backup feature (see item #1). To see how the Lab feature works, watch the brief video below. And this one too, which is more scenario focused. In summary … Do you like what you see here? Contact your account representative (or click here to contact us directly) to request the latest release today. Roundtable TSMS 11.6 is compatible with OpenEdge versions 10.2B and higher. © 2019 Roundtable Software. All rights reserved.